Not a lot of progress over the weekend, real life and fatigue got in the way! It's just been a matter of adding details and smoothing the FIMO out. Still more work to do there with things like finishing the belt and buckle. The arms are the next thing to start on before the jacket/vest. I'll post again later in the week. That's looking really good. 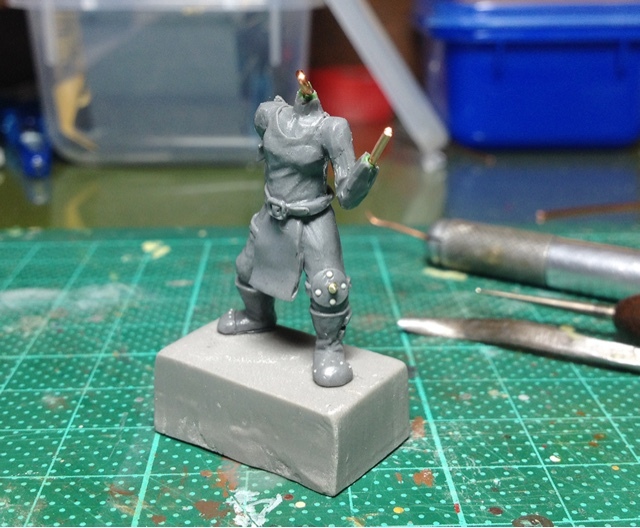 I've never been able to reliably sculpt structured pieces like belt buckles and boots, and the human anatomy eludes me. The most I've been able to sculpt from scratch are more forgiving organic forms on monstrous creatures that don't have any real-world rules of form or anatomy, like the Beast of Nurgle I did for a Blood Bowl team. It's getting there. Human anatomy eludes me too but I'm trying to understand enough to get the job done. You don't realise how sketchy and often strange the anatomy of some miniatures is until you start really looking at it. My goal is just to make something that doesn't look obviously wrong! If you'd like in the next post I'll do a little "How to" on belts and buckles. I was planning on doing a few small tutorials like that anyhow. Anything else you'd like to see? Nothing in particular. I think for my own sculpting, it's a matter of sitting down and examining what I want to sculpt form a logical perspective on what the step by step process will be to achieve the end sculpt. Plus, I'm just a lazy sculptor when it comes to 100% scratch built models. My beast of Nurgle took a year to finish simply because I kept changing my mind on design elements, and procrastinating on sitting down to do the work. I will be interested to see how you tackle the head and face though. 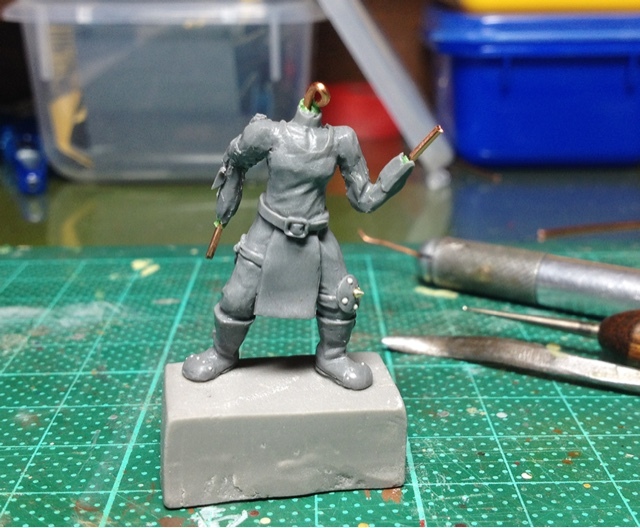 Whole Miniature Sculpt: Part 4.